Wave Test Manager is a web based solution for managing and running your Badboy tests. 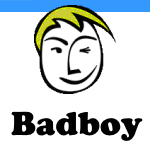 Wave Test Manager coordinates, schedules, runs and stores results for your Badboy Tests, making integrating Badboy into your team's development lifecycle easy. An easy way to automate the running of tests and integrate them into your development lifecycle.